Week 29 of pregnancy brings lot of physical changes. Follow the doctor's advice. At this stage of pregnancy, you are likely to add 19 to 25 pounds to your weight. If you have been following a diet and exercise routine, stick to it. If not, it is never too late to start. Take a 20 minute walk after a meal. You will feel good after the stroll and the amount of acid reflux would be minimised. Close to pregnancy week 29, some women also complain of constipation. If you are one of them, this is the time to increase the quantity of fruits and vegetables in your diet. Do not take laxatives, drink lots of water and eat fibrous foods. Even mineral oils should be avoided as like laxatives, they cause constipation. 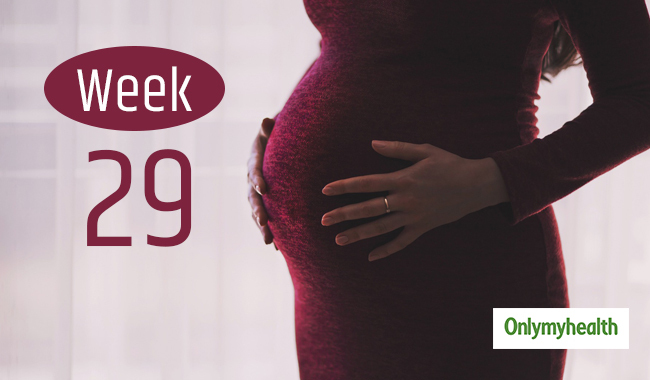 Body Changes in Pregnancy Week 29 – What to Expect? You would have gained around 11 pounds by pregnancy week 29. Your hormone levels are bound to change, causing mood swings, lethargy, fatigue and heartburn. These changes are likely to continue till the baby is delivered. The baby can put pressure on the sciatic nerve that runs through the entire length of your legs. Chances of catching an infection are particularly increased at this stage of pregnancy. In particular, Bacterial Vaginosis, yeast infections and infections of the urinary tract are a distinct threat. Always wear clean and loose fitting clothes and take a warm or cool shower immediately after sweating. The baby is growing at a fast rate now and will be around 14 inches long and weighs more than 2 and half pounds. 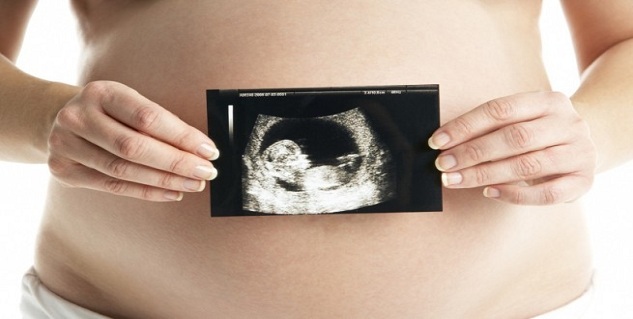 The baby’s brain is also developing very fast and they can listen to music or any sound outside the womb. They can be made to recognise a particular song before being born, and she will identify it after her birth. The baby’s movement is likely to lessen but this is not a cause for concern. As the baby has grown, the whole of uterus is occupied leaving little space for activity. The kicks can still be felt though. The baby now has well developed eyes and can turn to the direction of light. The baby's fat layer, which is needed for delivery is also forming well now.